Please Fill Out Birthday Party Questionnaire! their very own Swords, Wands or Castles! pop bubbles while we are Under the Sea and much much more! choice of water, lemonade and apple juice! 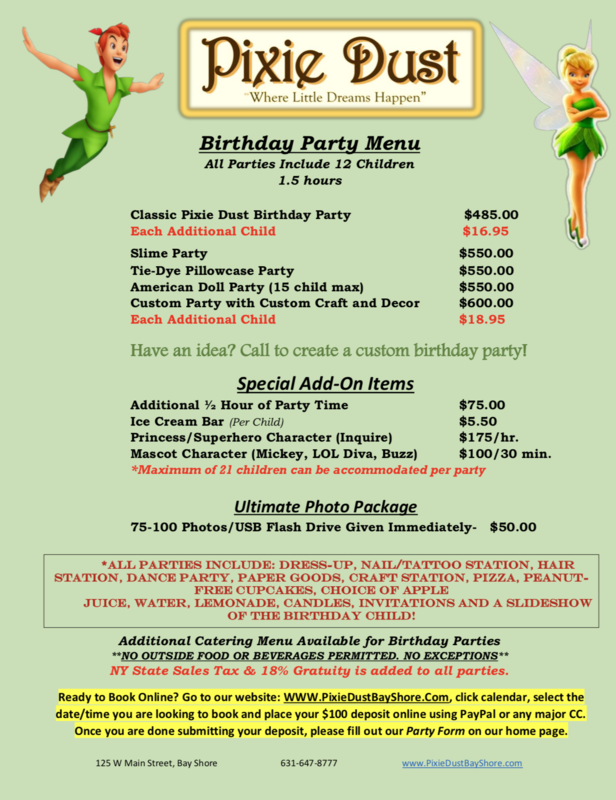 Pixie Dust also offers birthday parties for our older children! All Birthday Parties Include a Slideshow of the Birthday Child to Display on Our Big Screen TV!